Today’s podcast was all about Tot Toppers and When I Grow Up, all designed by Marly’s friend, Kate Oates! 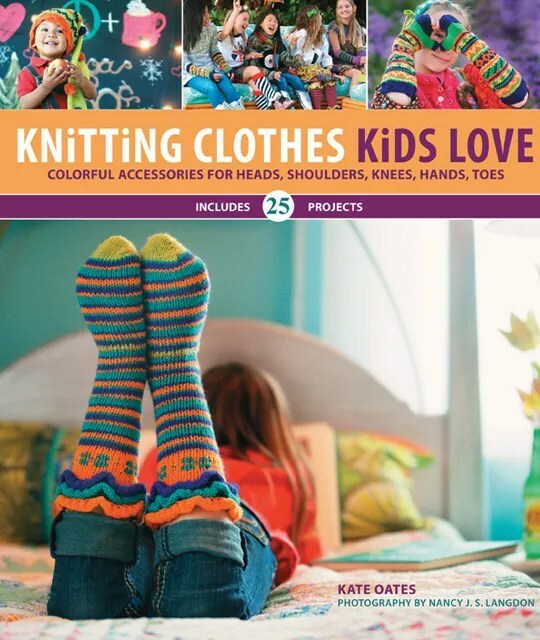 Kate Oates is the designer for Tot Toppers & When I Grow Up and the author of a brand new book, Knitting Clothes Kids Love. She enjoys designing hats and garments for babies and children in particular, these projects often reflect a whimsical spirit. Kate’s When I Grow Up line is for those of us who are not tots, featuring a modern classic style. Kate also strives to add specifically to the growing body of knits for boys as she has three of her own and one on the way! You can find her patterns at your local yarn store or online. She also does freelance work for a variety of publications. Congrats to today’s lucky call in winner of Kate’s new book! Kate will be at Stitches next week, so if you want to get your copy of her new book autographed, make sure you find her in her booth at the show! A couple of Marly/YarnThing notes! There is no podcast next week, as Marly is getting ready to head to Stitches, but she will return the week after (4/16) with guest Ron Strong. However, if you can’t go a week without your Marly fix (because c’mon, we know we can’t), she will be a guest on The Fiber Hooligan with Benjamin Levisay next Monday. Make sure you tune in, because she will be giving away LOTS OF PRIZES!! !